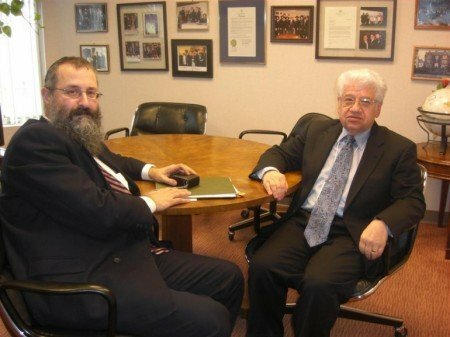 As Chabad House of Rutgers University is about to enter the ground-breaking ceremonies for construction of its new 55,000 square foot addition, the Board of Trustees of Chabad House have agreed to honor David and Ceil Pavlovsky by dedicating the campus cornerstone in their memory. David Pavlovsky was a graduate of Rutgers University and a noted attorney in Middlesex County. Ceil was active in numerous Jewish and civic causes for many decades. They were married for more than fifty years, and both served the community in organizations from the American Legion, American Red Cross, Lions Club, Congregation Shaarey Tefiloh, YMHA of Perth Amboy, the Jewish Federation, and the Central New Jersey Home for the Aged. David was honored by the Middlesex County Bar Asociation with its Lawyer Achievement Award. In honor of their generosity and support, the cornerstone of the new expanded Chabdad campus on College Ave. in the heart of Rutgers University, will be named "The David and Ceil Pavlovsky Cornerstone". Rabbi Yosef Carlebach, director of Chabad House stated, "We are delighted that thousands of young men and women who frequent Chabad House, and who pass the College Ave. campus will witness the new dedication plaques on a daily basis. We are confident that the souls of this wonderful couple, Ceil and David, of blessed memory, will 'shep nachas' from the outreach programs affecting so many students." 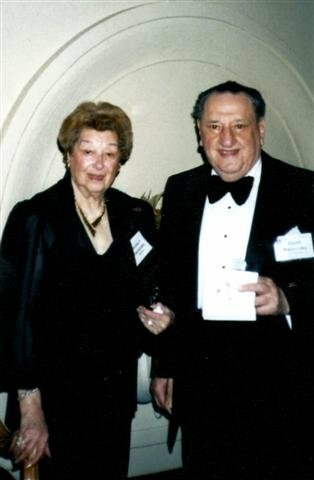 This act of generosity of Mr. David and Ceil Pavlovsky will be dedicated to the building campaign goal of ten million dollars to construct a four story edifice containing a 7,000 square foot Kosher Dining Facility for 800 students, numerous student lounges, a coffee-house,newly expanded kitchens, a first-ever Sephardic Synagogue, and housing for 72 additional students. The new complex, totalling 90,000 square feet (with the existing Chabad House facility), will be the largest Jewish center serving college students in the world.